Top Republican congressional leaders called on Democratic Rep. Adam Schiff to step down from his powerful perch as chairman of the House Intelligence Committee, joining White House counselor Kellyanne Conway in calling for the head of one of President Donald Trump’s most aggressive critics. He accused Schiff of pushing a false narrative about Trump colluding with Russia. House GOP Whip Steve Scalise echoed McCarthy’s call for Schiff to leave his committee chairmanship. 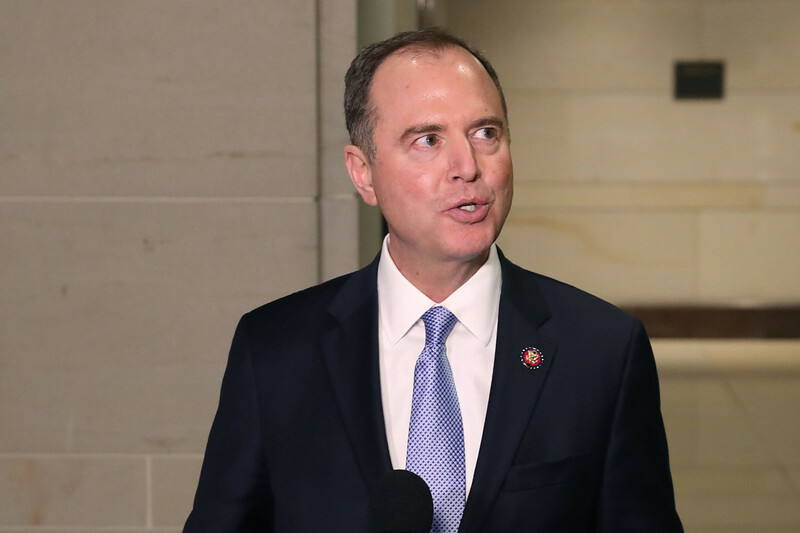 Schiff, who has become a leading Democratic voice on the investigations into Trump, shrugged off his critics. ‘I’m more than used to attacks from my GOP colleagues and I would expect nothing less,’ he told reporters in the Capitol on Monday. The attacks on one of the top Democratic investigators follow a report from Special Counsel Robert Mueller dismissed claims that Trump’s campaign colluded with Russia to win in 2016. The Intelligence Committee chairman ‘has been on every TV show 50 times a day for practically the last two years, promising Americans that this president would be impeached or indicted,’ Conway mocked.